As we approach colder weather, are you wondering when the first measurable snowfall was at your location or the year with the latest first 32°F occurrence? The Seasonal Statistics tool in cli-MATE can help answer these questions! This tools allows a user to find the start and end dates of the growing season, snow season, or frost season based off user-specified thresholds. Season length for each year is also listed. 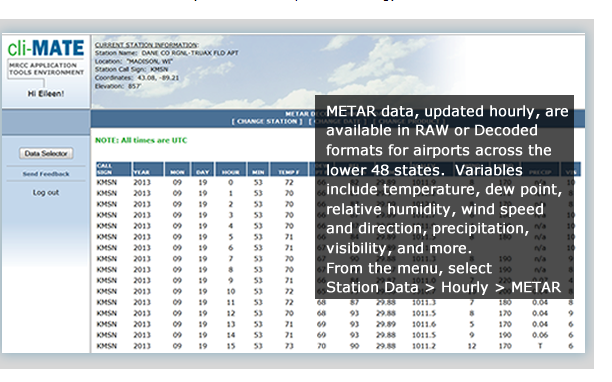 Use cli-MATE to look up such information as raw climate data, rankings of climate information, thresholds, growing season tools, maps, graphs, and much, much more.